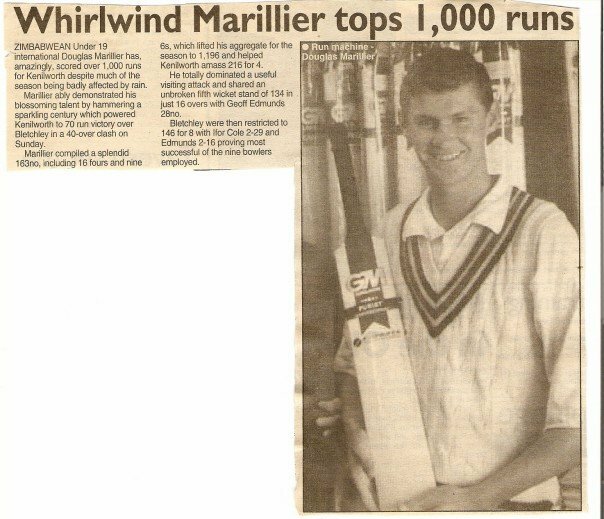 Zimbabwean Douglas Marillier was Kenilworth’s overseas player in the 1998 and 1999 seasons, scoring 1207 and 1218 league runs respectively. In 1998 he scored 9 centuries and nearly 3000 runs in total at an average of 73.26. He also took 50 wickets. In 1999 he scored an overall total of 2,427 runs at an average of 55.16 including 7 centuroes and 15 fifties. 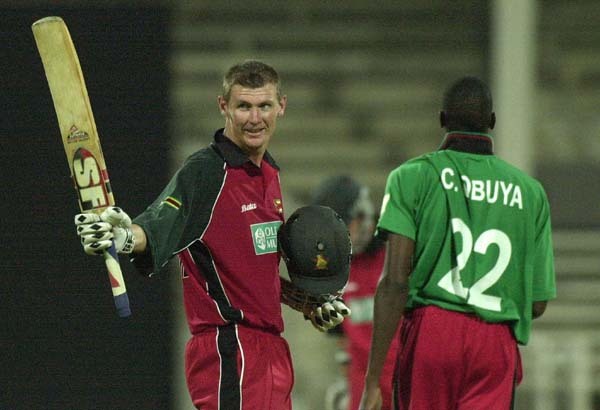 He went on to represent his country in both One Day Internationals and Test Matches on a number of occasions between 2000 and 2003, top scoring with 100 in an ODI. This is particularly impressive given the fact that he was in a terrible car accident when he was 16 which led to two broken legs and three months in a wheelchair. Arguably Dougie’s most famous moment came against Australia where he hit two balls from Glenn McGrath over his head for 4 and ‘The Marillier’ scoop shot was born! 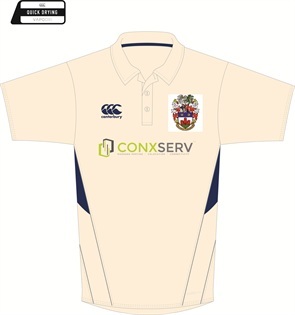 Douglas is the only person to have been made an overseas honorary life member of KCC. This was agreed in 2001 in respect to the honour he brought to our Club. The below clipping is from ‘The Pink’ from 1999.